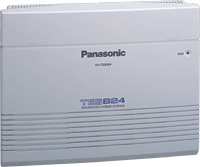 Programming a Panasonic KX-TA/KX-TE PBX system may be tricky, given the number of features they offer and the size of the user’s manual. If your work includes the configuration of Panasonic KX-TA PBX systems, you can save a considerable amount of time and effort by using a specialized configuration utility like KX-TA/KX-TE Programmator. 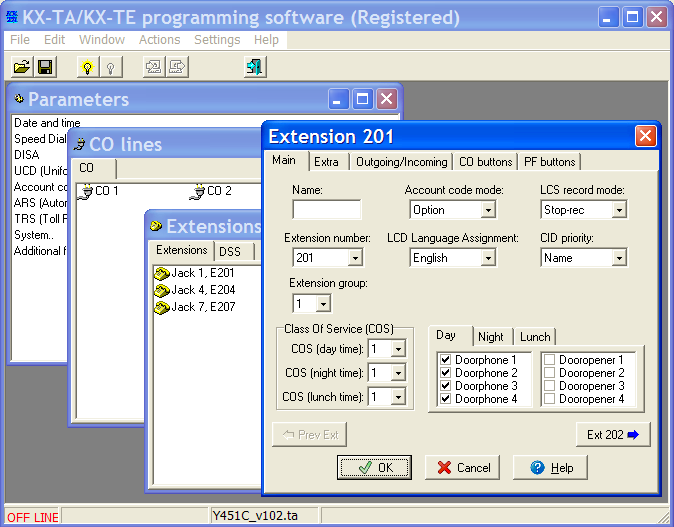 KX-TA/KX-TE Programmator is a compact, yet powerful hardware configuration tool for the KX-TA line of Panasonic PBX products. The program considerably simplifies the setup and configuration process and saves you the trouble of searching the 200+ page manual for the necessary function. All phone features and parameters are presented in the form of clear and simple dropdowns and checkboxes that minimize the risk of making a configuration mistake. The software requires a female-female null-modem cable for connection. In case your computer does not have a serial COM port (which is the case with all modern laptops, for instance), you can use a USB-Serial converter to connect the devices. 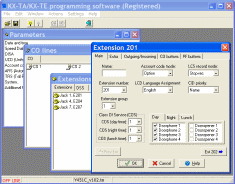 KX-TA/KX-TE Programmator is a handy tool all system and network administrators working in organizations with Panasonic KX-TA/KX-TE PBX units installed. This compact solution dramatically reduces the time required for initial PBX setup and further maintenance. At the same time, the interface of the program is simple enough to be efficiently used even by inexperienced users looking to modify a few parameters of their PBX unit. If you ever need to configure Panasonic KX-TA PBX systems, feel free to download a free demo from the official site right now! The null modem cable sometimes is sold as "serial cable to establish a direct connection between two computers". For ready cable search Google for "null modem cable purchase". Attention! The cable should have 'female' type connectors on both sides! If you prefer to use USB connection then Panasonic USB driver for KX-TE PBX is necessary - click here.